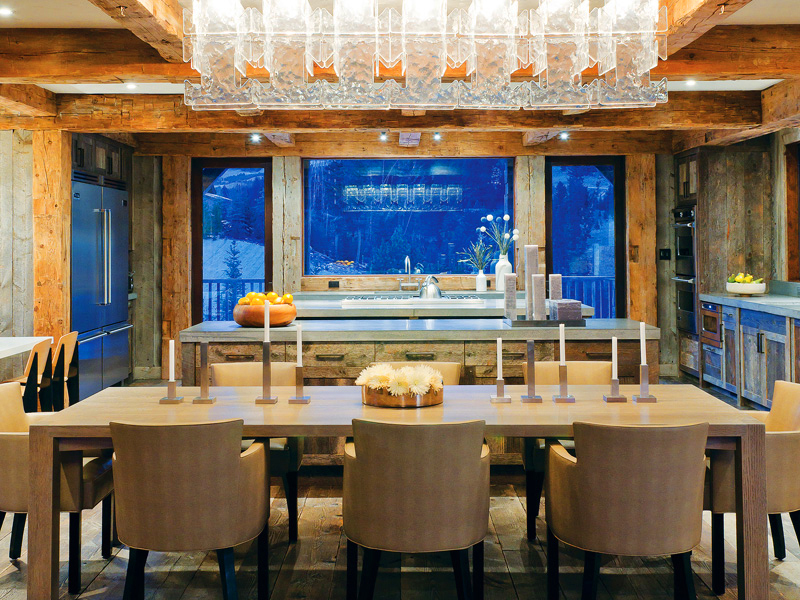 Mix and Chic: Home tour- A stylish ski house in Montana! Instead of designing the ski house to look like a typical Western mountain home, the designers decided to infuse their sophisticated style and modernized it in a hip and stylish way. 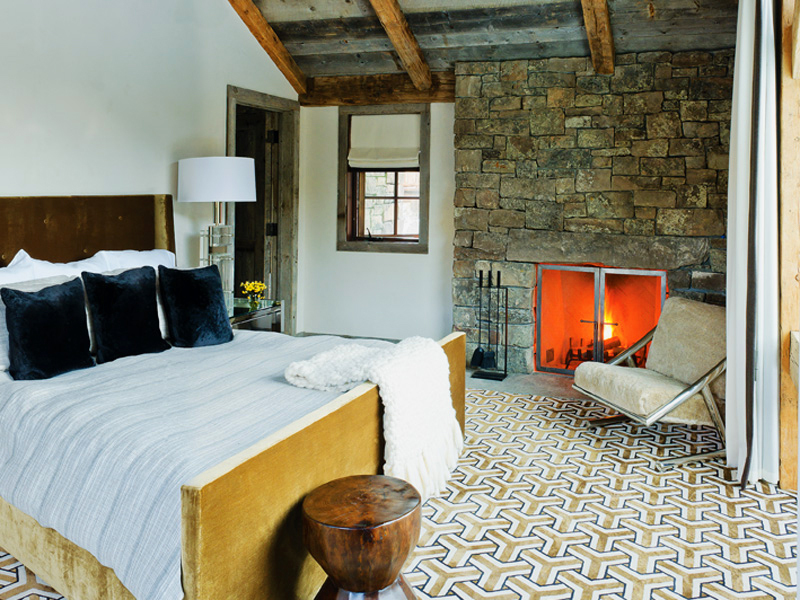 Using huge weathered barn timbers, clad ceilings and floors with reclaimed floor planks and fireplace surrounds constructed from regionally quarried stone, the interior feels warm with a rustic sensibility. According to the architect that collaborate closely with the designers, the idea is to reduce the components down to their essence to achieve a look that is pared down yet relevant to the 21st century lifestyle. Let's take a look at this beautiful home. 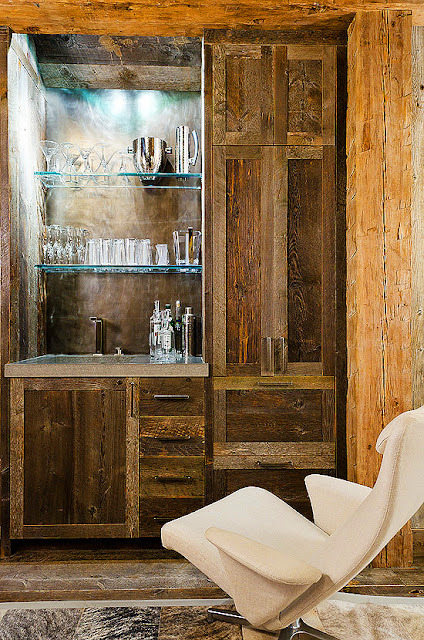 Personally, I am very drawn to the natural materials and modern furnishings used throughout this spectacular home. 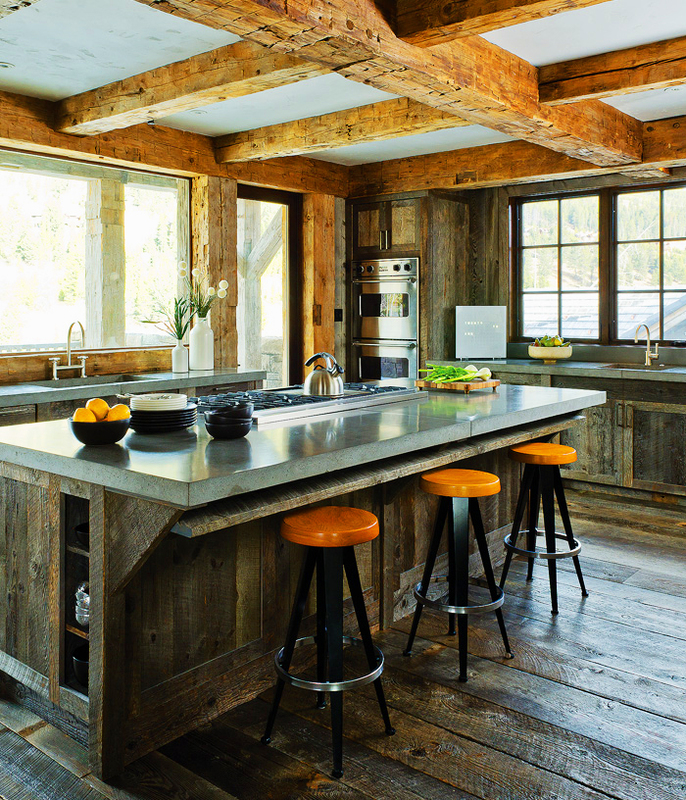 I think this home is a great inspiration for those of us who seeks a rustic and contemporary style home. What are your thoughts? Do you have a favorite element as well? 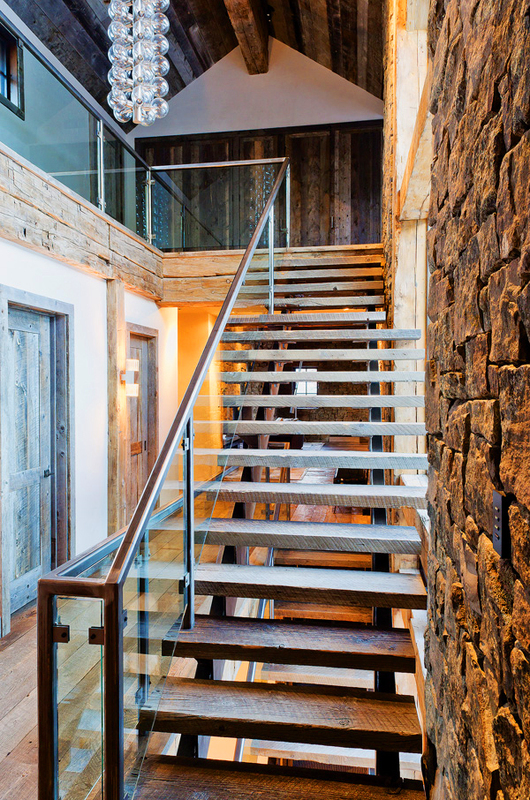 Wood and stone are elements that always give a warm result! Love this house and especially looks cozy when you look at it from the exteriors! Perfection! 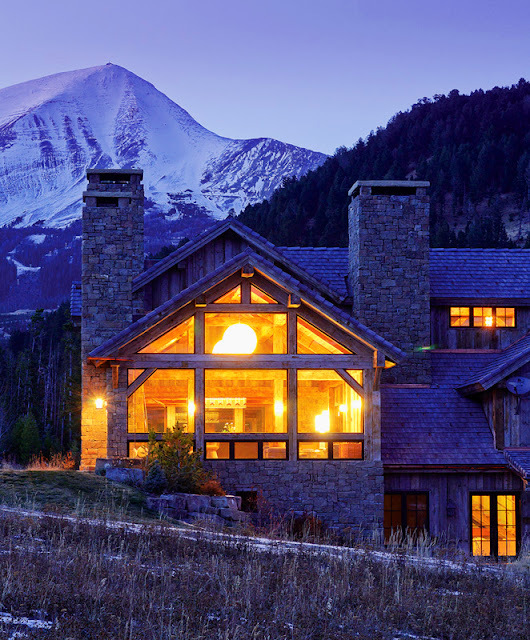 Love the house, furnishings and the mountain behind it. I love the coffee table in the first image. I would agree, lots of great ideas to "borrow". I really love houses that ‘blend’ into their surroundings! The furnishings are not what I expected at all but they totally work! I think I would feel very at home in that beautiful kitchen! Beautiful lighting over the dining table! 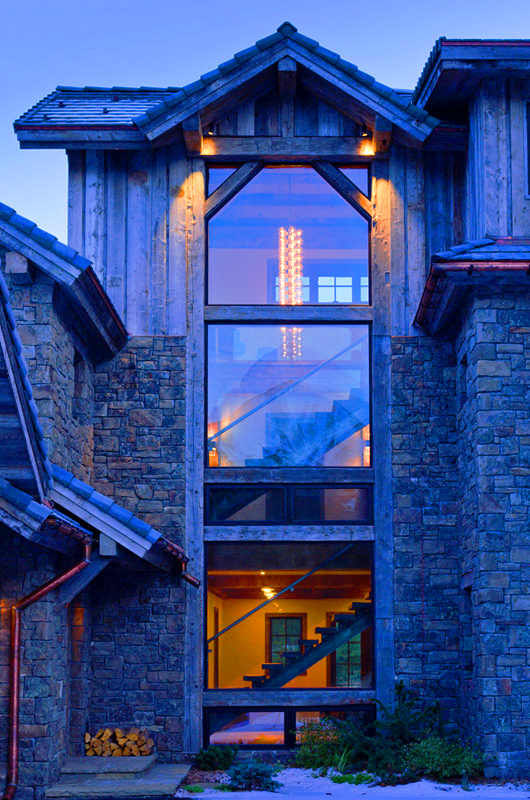 This is an amazing home in a breathtaking mountain setting. Thanks for sharing, Jessie! THis makes me want to get away to the snow! 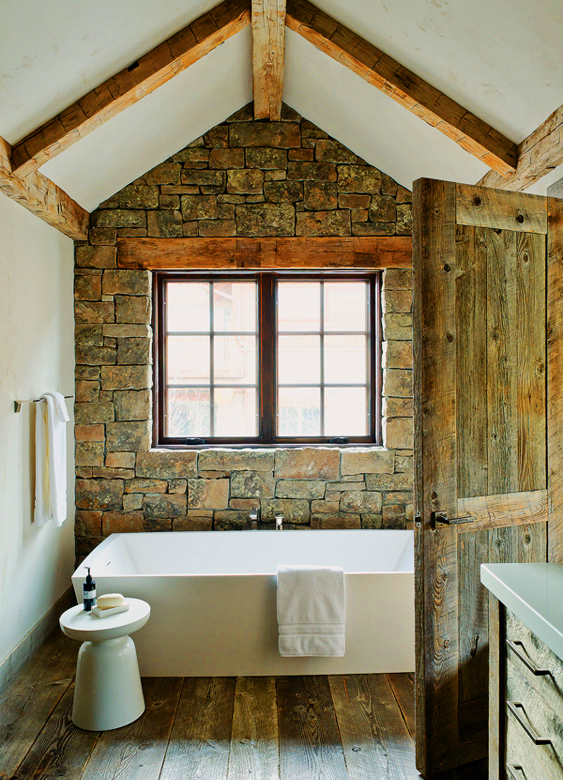 Love that bathroom with the rock wall and the modern tub. Fabulous! It's utterly beautiful! Perfect mix of rustic and modern. Love everything about it! It's beautiful! I love that the house is so rustic, but all the decor is so modern. It's really unexpected and makes it look so much more sophisticated than it would have if it had been filled with bear rugs, antlered light fixtures, and moose paraphernalia. Great find Jessie! 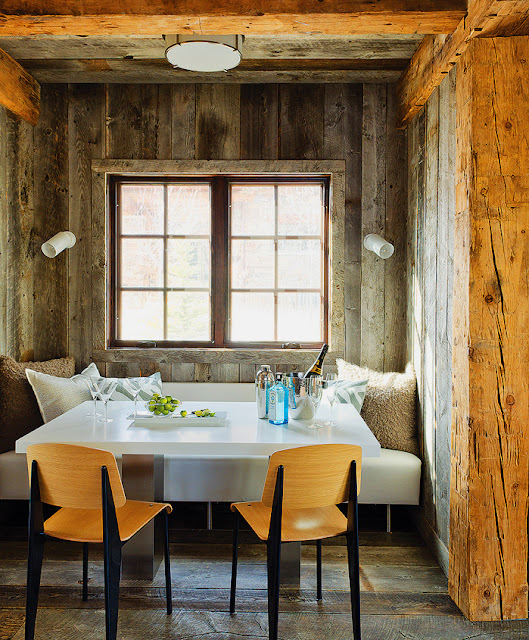 I love these modern furnishings in such a rustic space. whew!! Now THIS is a getaway ski adventure! what great lines, and so spacious! i love this home! oh my goodness, I could for sure see myself living here!! What a gorgeous home. 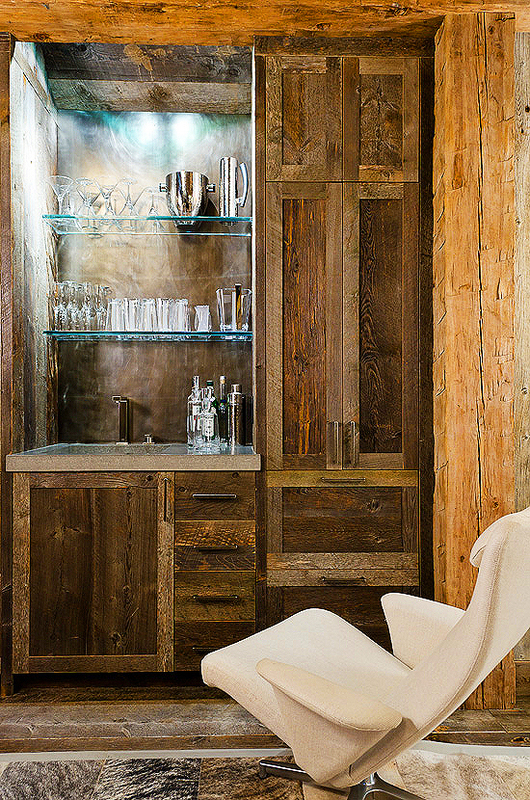 It's a lot of wood and stone but cozy and warm- perfect for a ski lodge!